From June to August 2012, a survey and excavation to the Khardong city-site (so called “Khyung-lung dngul-mkhar”) and the Garuda cemetery have been conducted jointly by Institute of Archaeology, CASS and Tibetan Institute of Antiquities Preservation. The new findings reveal that the Garuda cemetery is a site which contains a large number of tombs from the Zhangzhung period, contemporary to the Han-to-Jin period in the Central Plain of China, and it bears a close relationship with the city-site of “Khyung-lung dngul-mkhar”. Archaeologists uncovered an ancient tomb in the front of the Garuda monastery, which was firstly discovered several years ago. It yielded some large bronze objects, a small gold mask, a sword in Han style and plenty of animal bones, stylistically consistent with the items collected by Garuda monks years before. 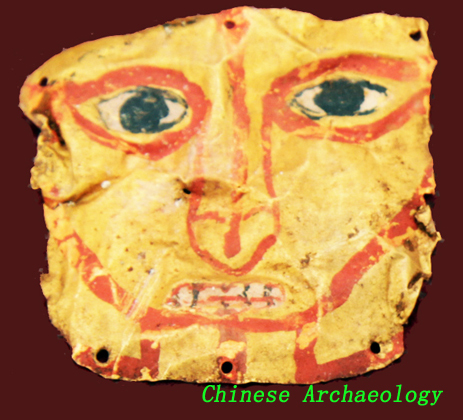 These artifacts show a wide connection with those from Zanda, southern Xinjiang, northern India and even the Central Plain of China. All tombs uncovered are in form of a shaft containing a stone chamber at the bottom. Some of them are sealed with logs and then covered with stone pieces, which is probably a prototype of the same kind of tomb structure from the Tubo period. 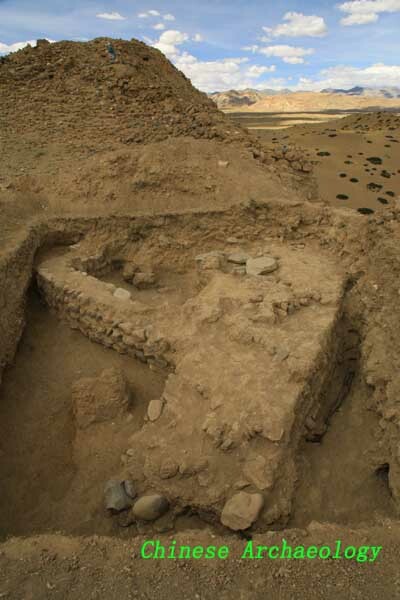 The archaeological team has surveyed the peripheral region of the tomb and eventually found another three large tombs through opening a trench measuring 20 m long. 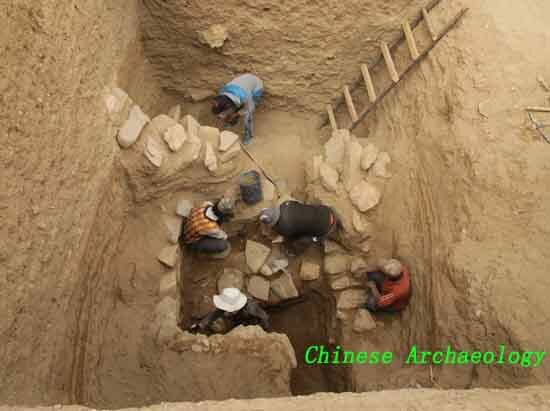 Same as the first tomb, they are all a shaft with a stone cist at the bottom, about 5-7 m deep, and are considered as the deepest and most densely-arranged tombs in Ngari region, even rare in the whole Tibet. To build the tombs a great deal of manpower and materials are required, indicating the place probably are not very far away from the politic, economic and cultural center of Zhangzhung Kingdom. Each tomb contains many bones of horses, yaks and goats, revealing that in the center and the origin place of the Bon religion animal sacrifice are quite common.